Hey Indie Filmmakers - a DIY filmmaking podcast | Listen Free on Castbox. 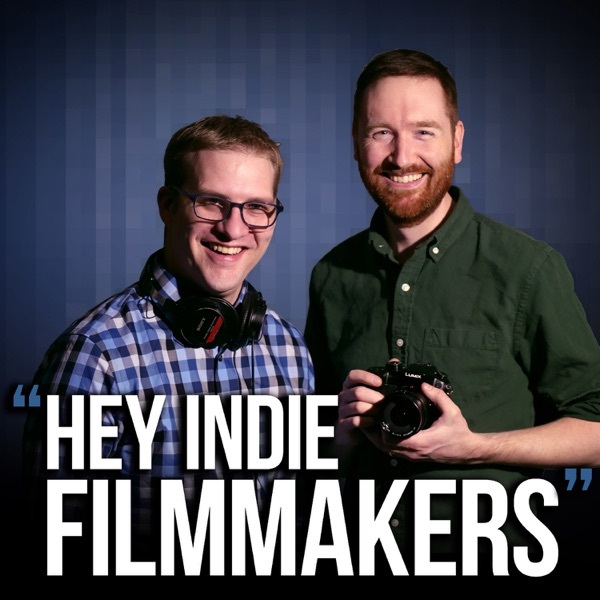 "Hey Indie Filmmakers" is a weekly podcast about DIY filmmaking, cameras and technology, hosted by documentary filmmaker Griffin Hammond and tech expert Nick Bodmer. How long should freelancers save clients' video files?If a client from six years ago emailed you, would you still have their wedding video? Nick and Griffin discuss their data retention policies for freelance clients.Hey Indie Filmmakers is brought to you by Squarespace. Try it for free, then save 10% off your first purchase of a website or domain—visit squarespace.com/griffinWhen it comes to pricing for client work, Nick recommends watching Mike Monteiro’s F*ck You, Pay Me.After Nick expressed interest in piloting a plane, John Patrick Bishop shared his pilot video. How long should freelancers save clients' video files? I created these intro titles with PixelstickGriffin uses a light-painting wand called Pixelstick to create the intro sequence for his new Indy Mogul show—Cheap Thing vs. Expensive Thing. One-Day Documentaries with Griffin HammondIndy Mogul is back! This is first episode of The Indy Mogul Podcast, hosted by Ted Sim: Today we catch up with fellow co-host Griffin Hammond about his work covering the 2016 Presidential election with Bloomberg News and the process of creating his festival darling documentary “Sriracha.” We also discuss the fundamentals of documentary filmmaking and how to film a documentary in one day. Judge Denies My Request to Film in NYC CourtroomSwiss tourist Paolo Prosetti was arrested after crashing his drone near Times Square in New York City. When Griffin attempted to film his court case, the judge denied his request.Lots of exciting videos this week!Monday: Indy Mogul is Back!Yesterday: How to Film a Documentary in One DayYesterday: “Dumpling Queen” – short doc shot in 1 day for Indy MogulFriday, my short film about building lights premieres: “Argon”Friday is also the debut of my new show Cheap Thing vs. Expensive Thing on Indy Mogul. New Mac Mini - Good for Video Editors?Apple has finally refreshed the MacBook Air and Mac Mini. What does that mean for video editors?This week, Alex Ferrari launched Indie Film Hustle TV, which includes in its filmmaker-focused library my film Sriracha, as well as an additional hour of behind-the-scenes Sriracha content. Learn more at IFHTV.com.If you’re near NYC, join me Thursday, November 8 at the B&H SuperStore for my workshop, Traveling Light While Filmmaking.